Thinking the world’s arguably riskiest currency is that of an unstable emerging economy would be a fine guess but far off the mark. Assuming that the world’s riskiest currency is attached to an unstable emerging economy seems like a reasonable guess. It’s actually far off the mark. The world’s most volatile currency is part of the G-10, the world’s 10 most powerful economies. It’s the trade fear-battered, high-beta Australian dollar, according to RBC. 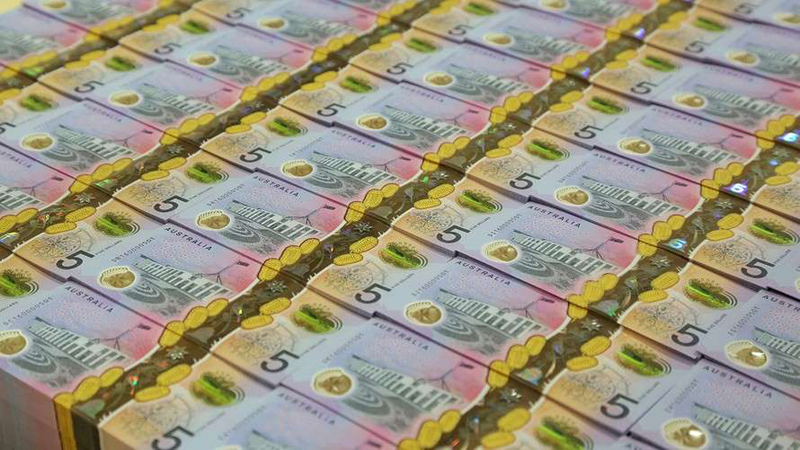 The Aussie dollar (AUDUSD) has long been taunted by the ongoing trade spat between the U.S. and China because much of Australia’s iron ore (TIOJ9) production ends up in China’s construction and infrastructure industries. This connection, as well as the escalation of the trade fight over recent months, pushed the Aussie to be the worst-performing G10 currency of 2018. Similarly, worries about a slowing global economy, which market participants and central bankers alike have been warning about for months, has also been reflected in the antipodean currency. 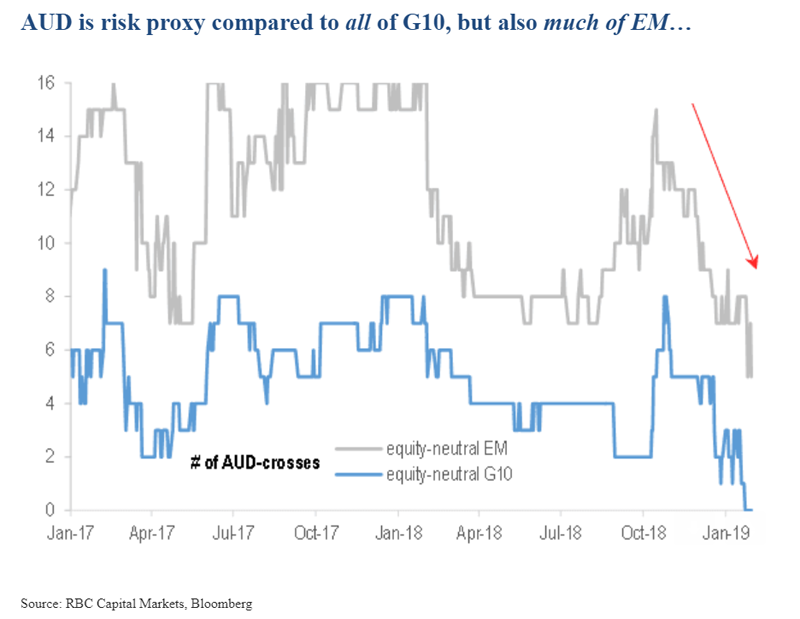 “It’s normal for the Australian dollar to trade as a risk proxy in G10, but it’s unusual for all G10-Australian dollar pairs to be showing a significant correlation to equities,” Lignos, citing the Australian-New Zealand dollar pair (AUDNZD) , Aussie-Swedish krona (AUDSEK) and Aussie-Norwegian krone (AUDNOK) . “Even more unusually, it is now trading as a risk proxy compared to the likes of the Brazilian real (USDBRL) and Mexican peso (USDMXN) ,” Lignos said. While its not unusual for the Aussie to be an Asia risk proxy — after all many Asian economies are also entangled in the Chinese trade complex — but Latin America is new to the mix, she said. What’s it mean for the forex market? “If this holds, it makes shorting the Aussie one of the cheapest risk-off hedges in FX based on its cost of carry,” Lignos said.